Big-time Benefit fans, stop what you're doing. The brand is offering early access to lucky ladies looking to get their hands on its new They're Real! Push-Up Eyeliner starting today. Benefit has launched the website TheLineToFine.com, where customers can sign up to be on a wait list. Once you're registered, keep checking back at TheLineToFine.com to receive clues as to how to move up the queue. 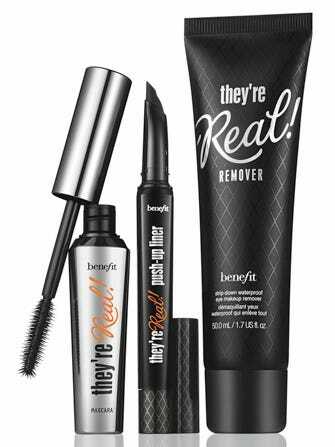 Hit the front of the line, and you'll be notified via email to log in and purchase your very own They're Real! eyeliner. Like we said, this is pretty major. Of course, there will be plenty of us who'll just cool our heels until the liner hits stores on June 27, but die-hard Benefit buffs may want to secure themselves a tube sooner. And, if there's a fun game involved, why not throw your hat into the ring? Head over to TheLineToFine.com to secure your spot right now. But, hurry — spaces are filling up quickly.